Established in 1931, the Droitcour Company is owned and operated by Mike Droitcour, a member of the founding family who is continuing the company's tradition of innovation, quality and workmanship. 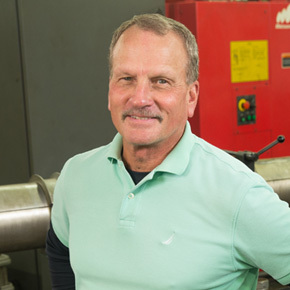 Aided by the most sophisticated production equipment available, Mike and his team of over 50 highly skilled New England craftsmen and engineers produce state-of-the-art machined products from a 27,000-square-foot manufacturing facility in Warwick, RI. Droitcour Co. offers a broad scope of multi-spindle part manufacturing and CNC machining capabilities as well as a number of patented, proprietary products, including keyless drill chucks and hydraulic relief valves. But what truly sets us apart is our ability to engineer complex, high-quality manufacturing components that allow our customers to achieve their most challenging production goals. To manufacture products which consistently meet our customer requirements and specifications. To recommend design changes and improve product performance, reduce cost and improve value to our customer. 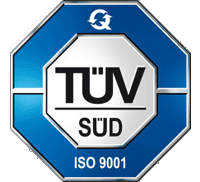 To deliver high quality products that will reliably perform their intended purpose. To deliver the product to the customer on schedule. To involve employees in the pursuit of never-ending quality improvements in manufacturing and services throughout the company. When you're searching for a precision machined metal parts manufacturer, you want a company with firsthand insights and a proven track record. Droitcour Co. fits the bill, with a history of ingenuity that dates back decades. One of our earliest successes was the redesign of a valve that was eventually sold to the aviation industry. 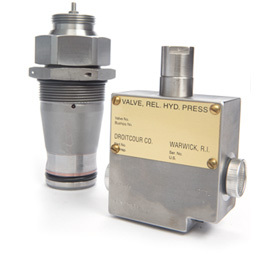 Ultimately, this pilot-operated relief valve went into service on a U.S. Air Force jet and is still the valve of choice in numerous military applications. 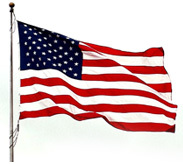 Today, Droitcour Co. is a trusted machining partner to the military, aerospace, HVAC, and countless other sectors. Our engineering dexterity coupled with state-of-the-art production equipment gives us a decided edge-the ability to say "yes" when our competitors say "no." As the needs of our customers evolve, we'll be ready for every challenge that comes our way. Just like we have been for the last 80+ years. Our dedication to quality machining and craftsmanship has earned us a Vendor of the Year Award from Ryobi Outdoor Products and a Superior Performance Award from Amtrol.